A YouTube video posted by RangerUp CEO Nick Palmisciano brought to light a brutal crime that took place on March 14, 2012. Four or five armed assailants broke into the home of US veteran Bob Strait, 90 and his wife Nancy, 85. The assailants brutalized the couple and raped Nancy, who died the next day. The fact that this crime has taken place and not been covered by the media is a testament to the quality of American journalism. RangerUp CEO Nick Palmisciano is asking everyone to contact Stephen Colbert and Jon Stewart so that the Strait family can tell their story. You can find a transcript along with support and contact information below. Hi. I’m RangerUp CEO Nick Palmisciano. Most of the time when you see videos from us they’re of the comedic nature, but I want to take the opportunity to make sure that I let you know about something very serious that’s happened that you haven’t heard on the mainstream media. Lately the news has been inundated with a very tragic shooting of a 17 year old boy in Florida, with a sports scandal, and with the narcissistic union of Kanye and one of the Kardashians. But there is a major story that you haven’t heard of and candidly I don’t think you ever will unless we push this. 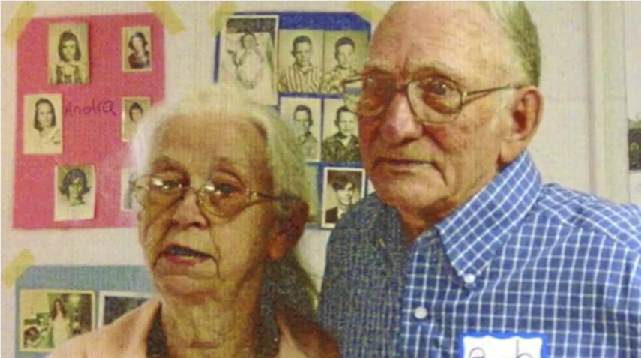 On 14 March, Bob Strait and Nancy Strait, 90 years old and 85 years old respectively, had their home broken into by four or five armed assailants. These people brutalized the elderly couple, beating them so badly that they both lost consciousness, but not before they brutally raped Nancy Strait. Nancy Strait would die the next day of the wounds associated with the beating. What’s important about this case other than the total lack of humanity shown to these two people is that Bob Strait is an absolute hero of the United States of America. He jumped in on D-Day with the 101st Airborne Division. He would have received a Purple Heart but he determined personally that his wounds weren’t sufficient to receive that award so he turned it down. He received a Bronze Star for his efforts in that conflict. Upon returning from a very long, dangerous war he met his wife. At the time it was Thanksgiving, 1946. He knew that she was the one and they were married three weeks later in what would become a marriage that lasted 65 years. He refused to take any government aid despite the fact that it was very hard to find jobs at that time and he was absolutely entitled to them as a veteran, and lived his life as any of us would want to live our own. A hard-working American. A true hero. Somebody that deserves our respect. You haven’t heard anything about these attacks and the reason you haven’t is because no one seems to care. And I’ll tell you honestly, in the veteran community that’s what the grumbling is. The grumbling is that Americans don’t care about veterans anymore. But I honestly don’t think that’s the truth. I think that the media doesn’t care. I think that there is nothing in this story that is incendiary. There is nothing that they can sell ads with. There’s nothing they can use to make this a liberal versus conservative fight. There’s nothing they can use to make this a racial fight. There’s nothing they can use to basically hype something. But the story has to be told. These people need our help. Bob Strait needs our support. So what I am asking is that you get behind this family. What I’m asking is for you to do what I know you do — I think you care. I think the American people care about our veterans. I think the American people absolutely care about what happened to Bob and Nancy Strait. And I want you to help us get this story out. In order to do this we have decided to ask for the help of the two people in the 24 hour news cycle that we actually respect. And it may seem counterintuitive to a lot of people but I am asking, and the RangerUp community is asking, for the help of Jon Stewart and Stephen Colbert to get this story out. Gentlemen I realize that the two of you are comedians. I realize that this is probably an issue that you would never normally deal with, but the fact of the matter is that I believe that you both care passionately about what you do. I believe that you feel it is important to get information to the hands of your viewers so that they can assess things, and candidly I believe that you love your country as much as I do. I’m not trying to get on your show. I’m not trying to get anyone here on your show. What I’m asking is that you tell this story, that you contact the Strait family. That you allow them to tell the world who their father and mother were and that you give them the respect that they are due. I 100% believe in our country and the fact that journalism is dead in the mainstream media should not, absolutely should not remove the honor that this gentleman is due. Why are you asking Stewart and Colbert? I heard this horrific story on Mark Levin tnt (5/8/12). What is wrong with you people? Do you not understand that the “mainstream media” will never report a terrible crime committed by blacks against whites? Holder/Obama dismissed the New Black Panther charges for voter intimidation years ago. What makes you think anybody in the Obama administration or the “lame-stream media” would care about two old whites getting brutalized by blacks? The call to Stewart and Colbert came from the originator of the youtube video RangerUpVideo. Your frustration with “lame-stream media” is founded and noted. We share that frustration. However, Bob Strait deserves the attention of anyone that will listen. We deal with veteran’s issues; whether that veteran be of any ethnicity or race. Turning this into a racial issue does not benefit him or his wife’s memory. In the same way, hating racists does not hinder racism. You can’t defeat hate with hate.